The Ohio Union is centrally located on the picturesque campus of The Ohio State University. We opened our 318,000 square foot facility with 34 event spaces in 2010. Our capable and professional staff will help you through every detail to ensure a successful booking and memorable event. We are a very popular and premier venue in our LEED certified- silver status building with many sustainable and green friendly resources. Our gorgeous Archie M. Griffin Grand Ballroom is one of the largest in Columbus and showcases our in-house, full-service catering team with many creative and delicious menu selections. Our Performance Hall features a built-in stage and entry to our outdoor Potter Plaza. Our room rentals at the Ohio Union include complimentary high speed wireless internet, tables, chairs, linens with catered meal, and built-in LCD projectors with built-in projection screens. We have two restaurants called Sloopy’s Diner and Woody’s Tavern and we also have the Union Market that has multiple food choices. Woody’s Tavern features wood-fired pizza, Ohio beer and wine, and is perfect for game day Saturdays. Sloopy’s Diner features classic favorites in our '50's inspired diner. We have over 90 LCD TV’s, beautiful artwork and Ohio State history and decor, making it an entertaining and mini-city destination for your guests before or after the event. Our two parking garages are attached to the Ohio Union for the convenience of our guests and can park between 800-1200 guests. 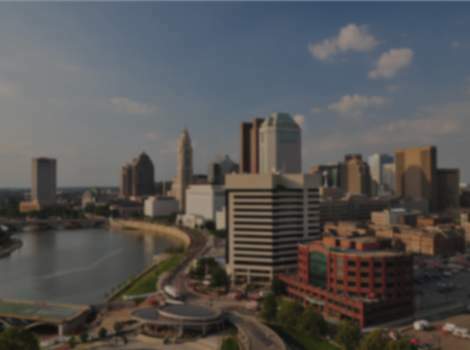 The Ohio Union is about 12 minutes from Port Columbus airport and about 2.5 miles from downtown Columbus, convenient to hotels and other entertainment in our welcoming city.